I made this recipe specifically for us women, and I wanted something healthy to snack on and be iron rich. 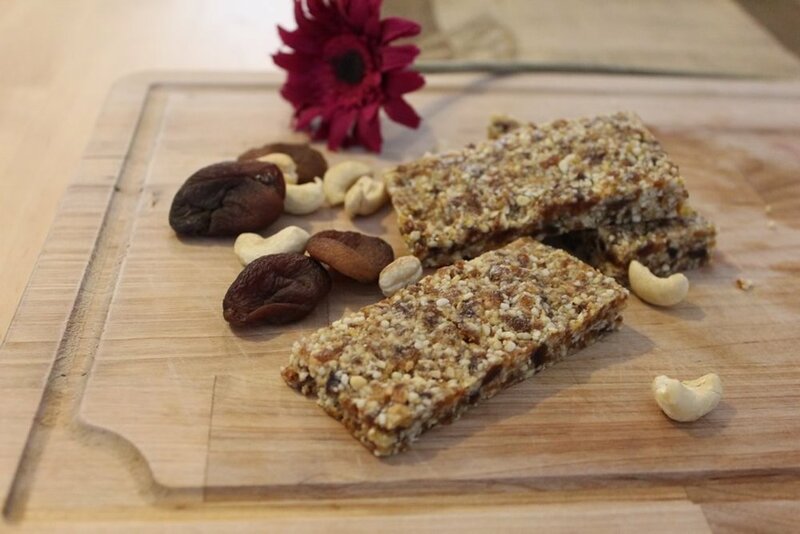 I hope you enjoy my Apricot and Cashew Power bars – for International Women's Day. NB - the coconut will turn faster than the rest so be careful not to leave it in there! Pulse until finely ground together. Press the mixture into a lined baking tray and leave to chill and harden in the fridge. Take out cut into bars and store in an airtight container in the fridge for up to a 2 weeks.